The use of Adwords has been very beneficial for those who are involved in digital marketing and running digital campaigns. It’s designed to assist business owners to customize and target keywords as well as aim its focus based on the app ID and other forms of information. The use of the mobile app installs campaign can assist with this and other marketing efforts. The process is designed specifically to get more people to effectively use the mobile install app. It’s a great addition to running ads on Instagram as it complements this particular platform very well. But what’s the best way to go about using Instagram ads for your to mobile app install campaigns? If you are ready to give this method a try, below is some information on why you should consider using Instagram ads for your mobile app install campaigns, what to do before getting started, as well as how to effectively use it. Instagram has a large and growing user base. it attracts millions of users globally on an annual basis. Running ads on Instagram requires a certain budget, which should be taken into consideration beforehand. 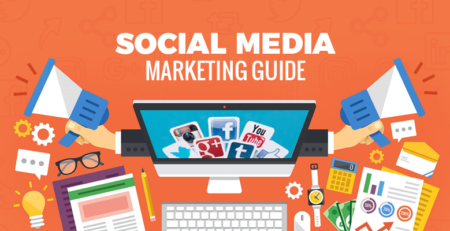 However, before you begin spending money on ads, you should first confirm that your target audience is regular users of the Instagram platform. This requires some initial research and due diligence on your part beforehand. During your research and due diligence, what you need to look for is a better understanding of other businesses that are being followed by your followers as well as things that they like and respond to such as the latest news, latest trends and industry updates and so forth. This will give you a better idea as to how to develop and target your Instagram ads to reach your specific target audience. Once you determine that you do in fact have a following on the Instagram platform, then knowing that you have a great fit – you can proceed with the mobile app installs on Instagram. Getting this out-of-the-way as early in the game as possible will help you plan the most effective use of Instagram ads on your mobile app install campaign. The mobile app installs only makes up 26% of all impressions on the Instagram platform, where the remaining 74% is from the mobile web. However, more and more users are becoming aware of the app and are making the shift. Currently, the top advertisers of the mobile app installs campaigns include companies that provide games, shopping, entertainment, social networking, and lifestyle at roughly 100%, 48%, 32%, 20%, and 10% of all ads respectively. As of quarter three of 2016, in the United States, Lyft is the largest advertiser of the Instagram App installer, followed by Mercari, Fullscreen, Live.me, Amazon app and several others. This should give you an indication as to what type of industries are already experiencing success by using the app you should follow accordingly when deciding to use the app. If your target audience is over the age of 35, Instagram may not be the best platform for you as 90% of its audience is 35 years of age or younger. This is something that should highly be taken into consideration before launching an ad campaign. Looking to improve your mobile app installs with the best Instagram Ads? Our data-driven, customer-based approaches to social media advertising help reach your apps to increase installs and ROI. The use of a photo along with the short message is what most Instagram users are most familiar with. Adding a short post can also be helpful but should only be used at a minimum. The use of video ads (up to 60 seconds long) is also an effective use of advertising on Instagram. This is a great and effective way for advertisers to use the mobile app install campaign by featuring videos of various advertisers. It’s a great way to get your target audience excited about your ad. In fact, one out of every four Instagram ads is video advertisements. This is a great indication as to what type of ads you should be posting using Instagram that will yield the greatest effectiveness. The use of carousel ads allows you to post several photos and/or videos using one single ad. This is a great way to get multiple messages across by showcasing the various benefits included with your app. This method can also be used to get users to follow along via a story if that’s your preference. When using the dynamic ads, advertisers can increase the engagement of their users who already are familiar with the app and have already downloaded it. The app can be targeted to users who have viewed various products on your website and desire to follow up or move to the next stage in the sales process. The use of story-based advertisements is also a great and effective way to place an ad on Instagram using the ad install campaign. They already have surpassed Snapchat with respect to their daily user base, and currently, have over 200 million users. As with other forms of advertisements, running ads on Instagram using the app install campaign also requires that you measure the performance of your apps. Measuring your ad’s performance can allow you to better determine which ad is more effective than others using the Instagram social media platform. There are many advantages to running Instagram Ads for your Mobile App Install Campaign. 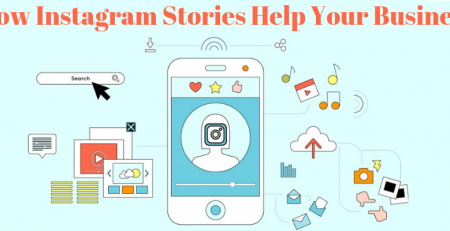 However, careful planning and the best use of the ads based on your target audience is the key to effectively using Instagram Ads for your Mobile App Install Campaigns program.